Harborview Fisher Island is one of the several buildings overlooking Biscayne Bay. Fisher Island itself is a fabulous location, being an isolated community off the southern tip of Miami Beach, yet still within minutes of Miami Beach and Downtown Miami. Harborview is known for having stylish residential features that has drawn high-profile figures like celebrities and foreign dignitaries. The amenities of Harborview are also more than generous. There’s plenty to explore in each of the Harborview residences. Spacious three-and-a-half room floor plans, vaulted penthouse ceilings, marble floors, granite countertops and stainless steel appliances are a few highlights. Harborview residents also have boat docks, swimming pool, Jacuzzi, two reserved parking spots for cars and even parking for golf carts! Fisher Island itself is as much a highlight as Harborview. The island is isolated yet easy to get to, exclusive, luxurious, amazing services and properties like Harborview. Residents can indulge in on-island dining, sports or social activities, yet still have ample time to enjoy their seclusion. 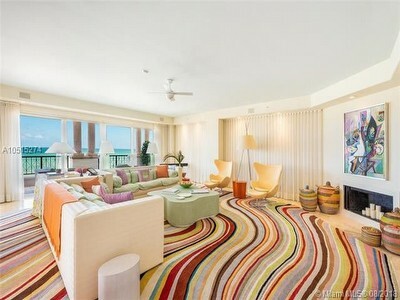 Fisher Island residences also have the benefit of top-notch maintenance and upkeep. The aesthetic is one of the island’s many highlights.